"The Heart of Health, the Principles of Physical Health and Vitality," which discusses our ability to create a high scalar potential through the activation of our built-in circulatory möbius coils. 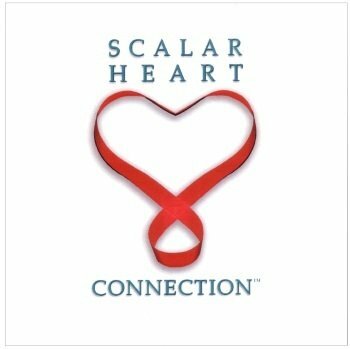 Scalar Heart Connection™ CD guides the listener to direct this scalar energy, through intention, to go anywhere in the body that needs healing energy. The CD is accompanied by a healing composition that utilizes the fundamental notes from the Quantum Healing Codes™. If you have an area of pain or emotional discomfort you can use this CD to help you focus your intention of healing on this area. You can focus your attention/intention inwardly to connect or strengthen any weaknesses you feel about yourself or anything else you are thinking about that weakens you. A 'connection' is the process of identifying the limiting or weakening thought, feeling, issue, or dis-ease and consciously using the unlimited potential of your own scalar waves to cancel the negative frequencies they create and connect yourself with positive, life-enhancing frequencies. Scalar Heart Connection™ is a culmination of many years of research into the geometry of spacetime consciousness. Stephen Linsteadt describes the heart as the interface between mind-brain consciousness and universal Consciousness. When we become heart-centered, we move into greater harmony within ourselves and with the planet as a whole.